Although Microsoft has released Visual Studio 2017, you can still download Visual Studio Community 2015 from the following link. 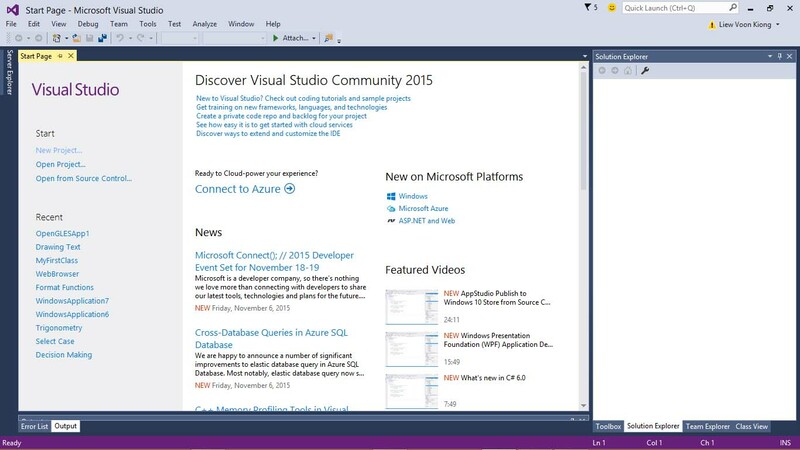 Select Visual Studio Express 2015 for Windows Desktop and then click the download button. After the installation file is downloaded, click on it to install VS Express 2015. 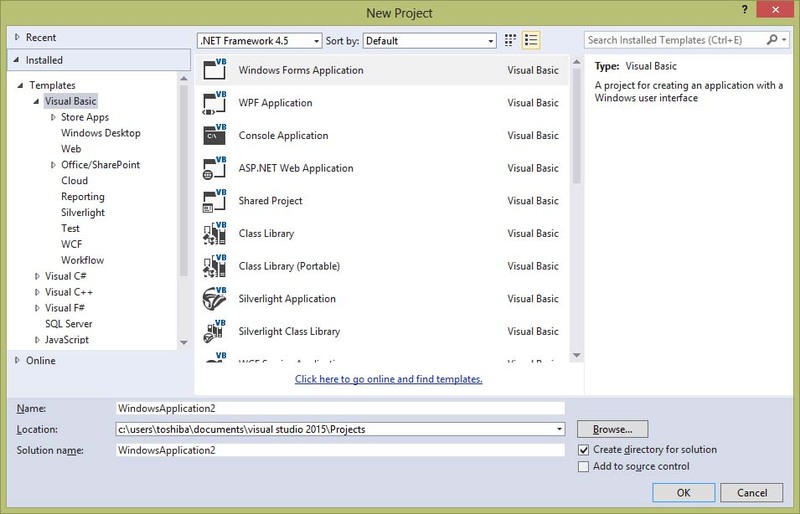 Upon clicking Windows Form Application, the Visual Basic Community 2015 Integrated Development Environment appears, as shown in Figure 1.4. You can see that the name of the project you entered earlier appears on the top right corner of the IDE. Visual Basic Community 2015 IDE comprises a few windows, the Form window, the Solution Explorer window and the Properties window. It also consists of a toolbox which contains many useful controls that allow a programmer to develop his or her Visual Basic 2015 programs. When you run this program and click on the show Message button, you should get the following popup message box. The function MsgBox is a built-in function of Visual Basic 2015 and it will display the text enclosed within the brackets. Now you have created your first program in Visual Basic 2015, we shall learn more Visual Basic 2015 programming techniques in coming Lessons.